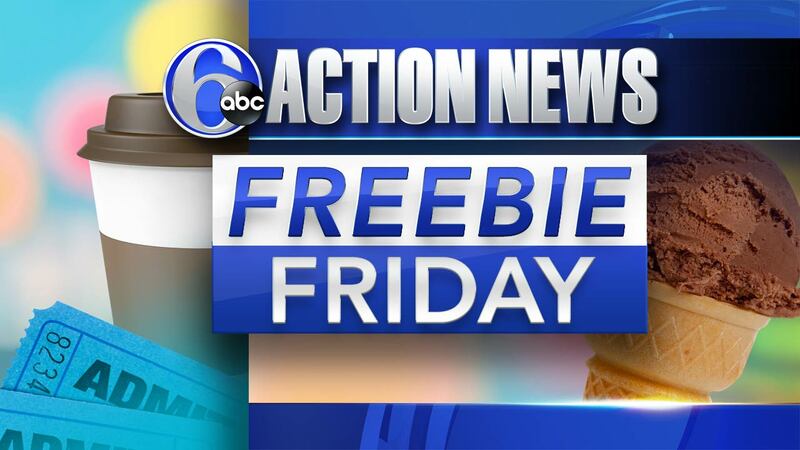 Freebie Friday: Pumpkin Spice coffee, ice cream, SEPTA fares and more! Now that we are officially into fall, all Saxbys Cafe locations are celebrating by offering free, all natural Pumpkin Spice Cold Brews all day Friday. Until 7pm on Friday, Baskin Robbins locations are also celebrating fall with their first ever free national sampling of their new flavor, Cappuccino Blast. Are you a beauty product junkie? Right now you can get a free gift box of goodies from L'Occitane Boutique. It has anti-aging cream, hand cream and repairing shampoo. You also get a 20% coupon for anything you happen to purchase. All you need to do is fill out a form! For more information and to fill out the form, CLICK HERE. To celebrate its grand opening, Pottstown Laundromat is offering free services for men and women in uniform from now through the close on Saturday, September 23 at 11 pm. This is for anyone in uniform - military (active or retired), police officers, firefighters, nurses, EMT - you name it. They are also having a big party on October 14th where everyone washes for free. Throughout the weekend, it's the Ancient Order of Hibernians 26th Annual Irish Fall Festival in North Wildwood, New Jersey. The festival included free entertainment, Irish step dancing lessons and more. To celebrate the Eagles home opener on Sunday, SEPTA is waiving the fare on the Broad Street Line from 9am to 9pm.